This summer we reached out to our members and Facebook followers to ask what kind of resources they’ve been looking for. Then our little CCPRN worker bees went to work developing new and unique die cut packages to sell. So if you’re looking for some fresh new resource kits in time for Fall – you’ll be impressed by these new ones! 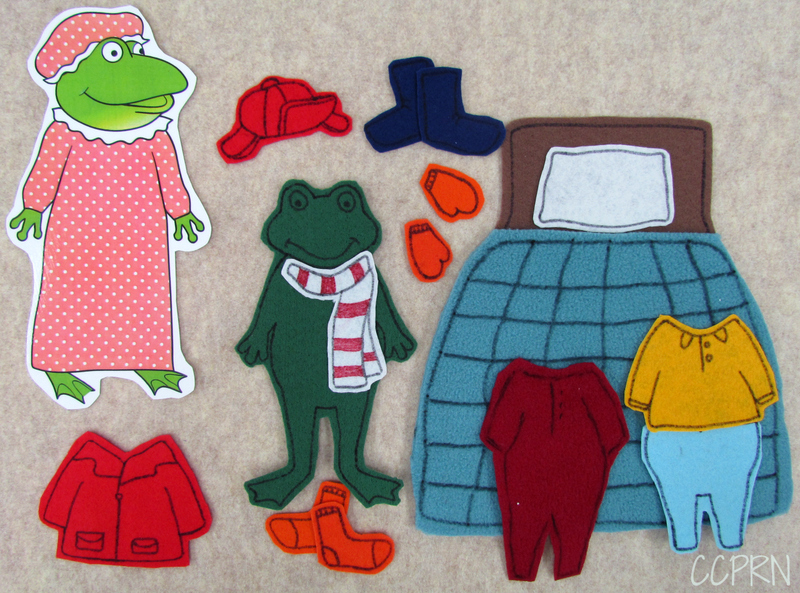 Coming soon: Felt sets based on the Froggy Gets Dressed book by Jonathan London – a funny way to look at putting on all those extra layers once again. 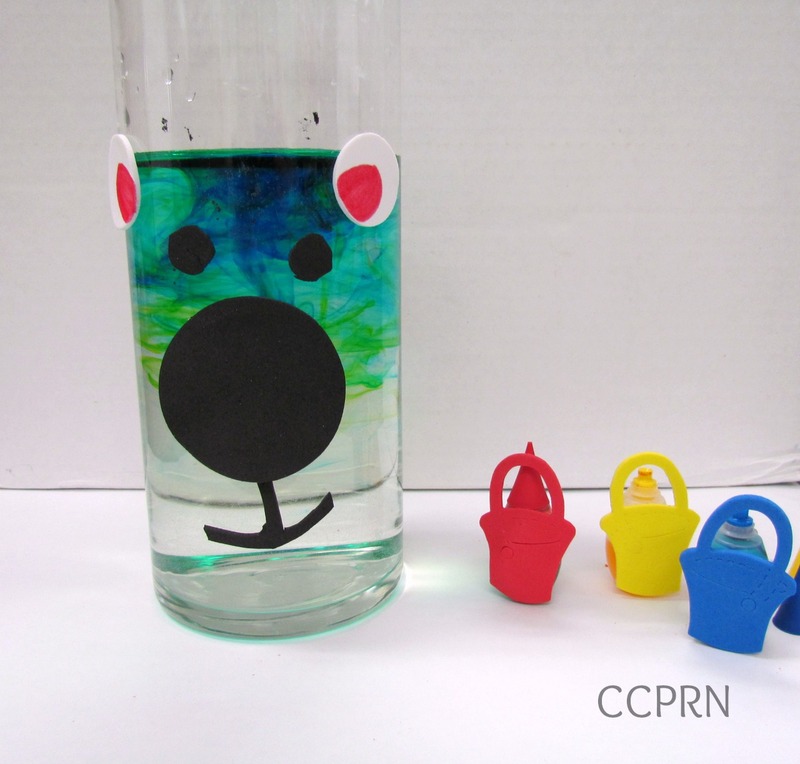 Use these props to visually enhance your storytelling and then have your children play with the set to retell the story themselves. 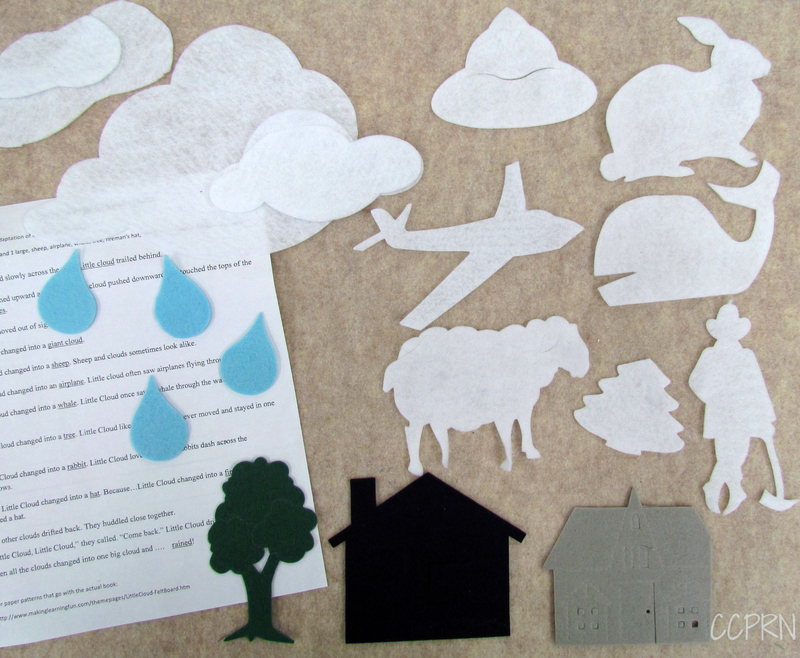 Felt packages based on the Eric Carle Book Little Cloud are a great addition to your weather theme. 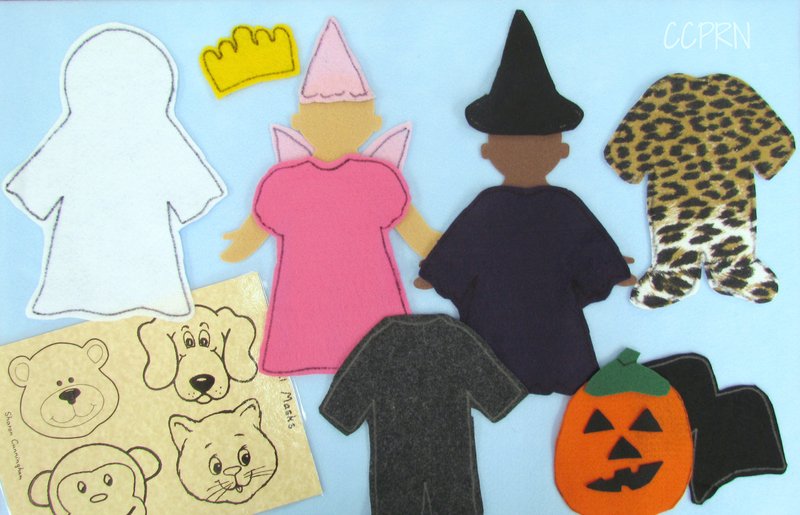 Halloween Costumes play kits were designed by Sharon Cunningham of Story Time Felts for your little ones to play with and dress up the felt dolls. 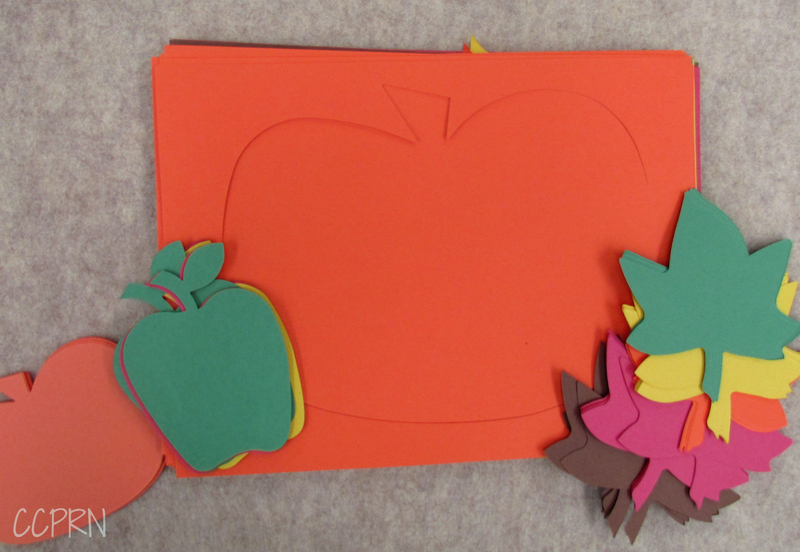 A farm theme is a natural fit around Thanksgiving and it can be used to enhance so many different learning concepts. This very special limited edition farm felt kit was created by former CCPRN President Andrea Gingras. 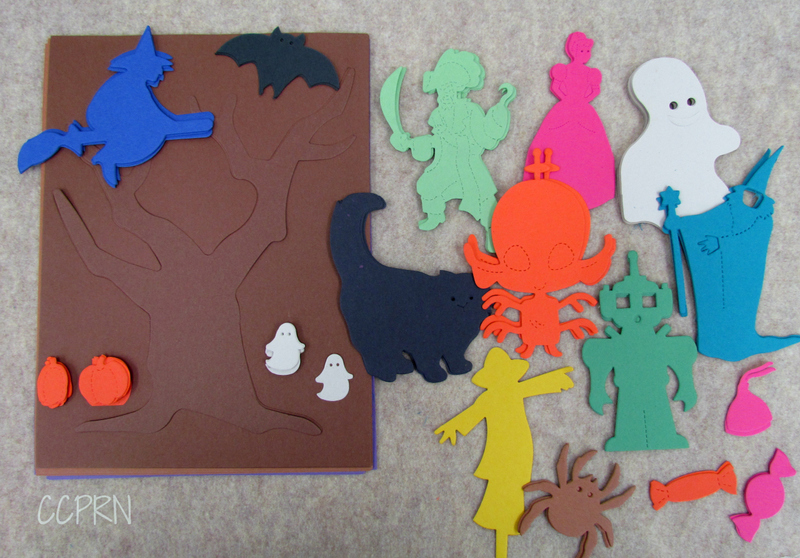 She embellished each of the die cut pieces by hand. The attention to detail in each piece is really quite something. These kits are a bit more expensive than our regular ones but they are absolutely gorgeous and come with an extensive handout of farm stories, circle time songs and rhymes. These kits and more are for sale at the CCPRN office. Call and book a time to come into the office to browse through all of our resources! * Please note: kits are subject to availability. I recently discovered this book that inspires new storytelling ideas and techniques. 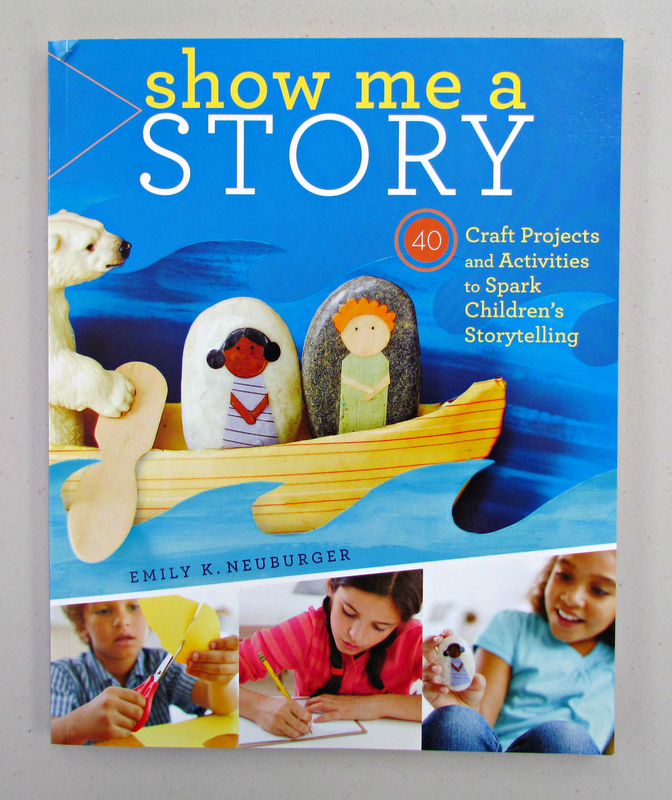 Show Me a Story, by Emily K. Neuburger, is jam packed with ideas to spark the imaginations of young and old. 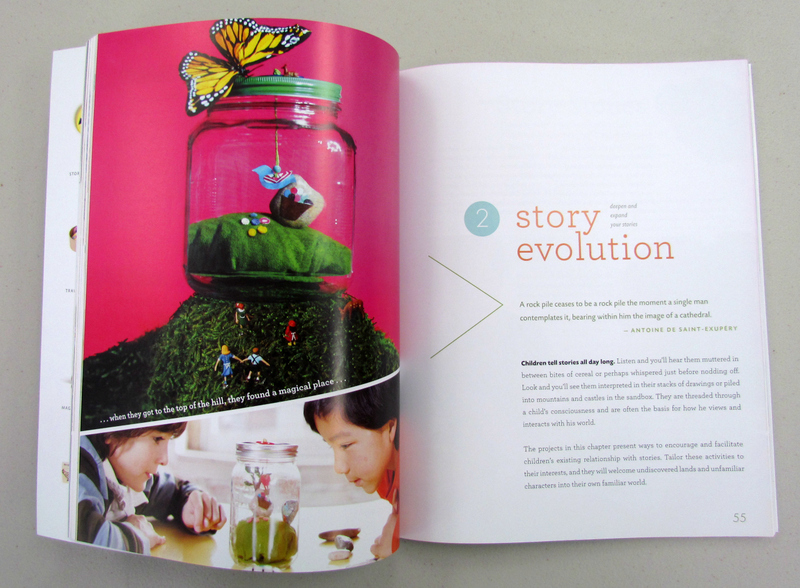 Inside you’ll find Story Starters and suggestions for encouraging imaginative play for children of all ages. Setting a fancy table for a royal meal, transforming a cardboard box, and going on a walk in search of 5 interesting things are wonderful invitations for open-ended imaginative play – just to name a few. Show Me a Story offers many ideas for home made props for storytelling too. 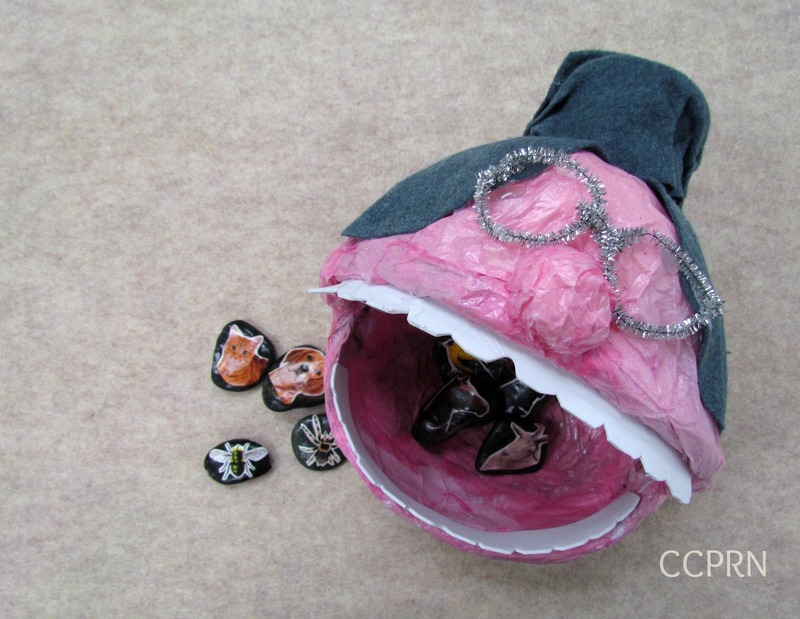 As an added bonus, the Story Starter prop ideas are simple enough to get your school-aged children involved in their creation. 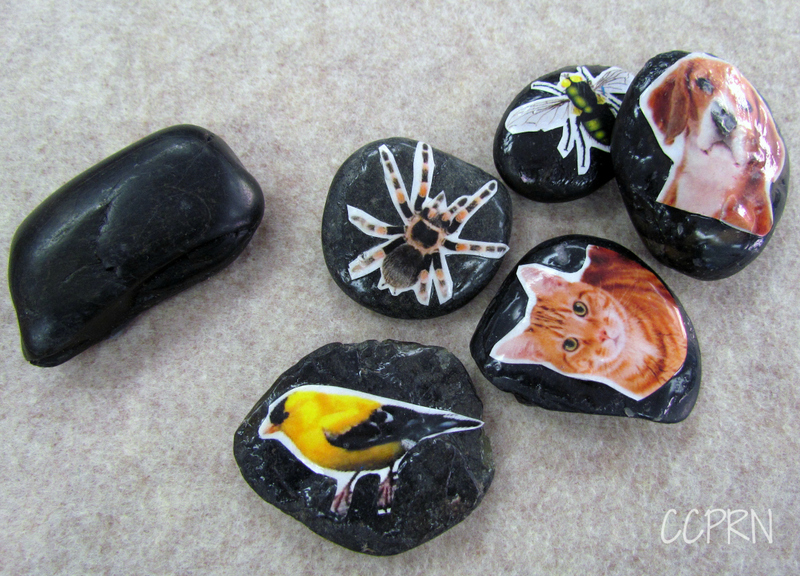 Print images and glue onto stones, wooden blocks, or even wooden disks. Story stones can also be used to retell a favourite story, like the classic There Was an Old Lady Who Swallowed a Fly, for example. Here the old lady was made out of paper mache using a basket as the base. Then an image of each animal that she swallowed was glued onto a stone. Another one of my favourite suggestions in the book Show Me a Story is to set the scene for a story within a jar. Or try creating a scene on a mat or blanket on the floor. Storytelling and invitations for dramatic play foster the imagination, language, and narrative skills of young minds. CCPRN has purchased the book Show Me a Story for anyone interested in borrowing this great resource from our library. It is also available for purchase through Chapter’s online. 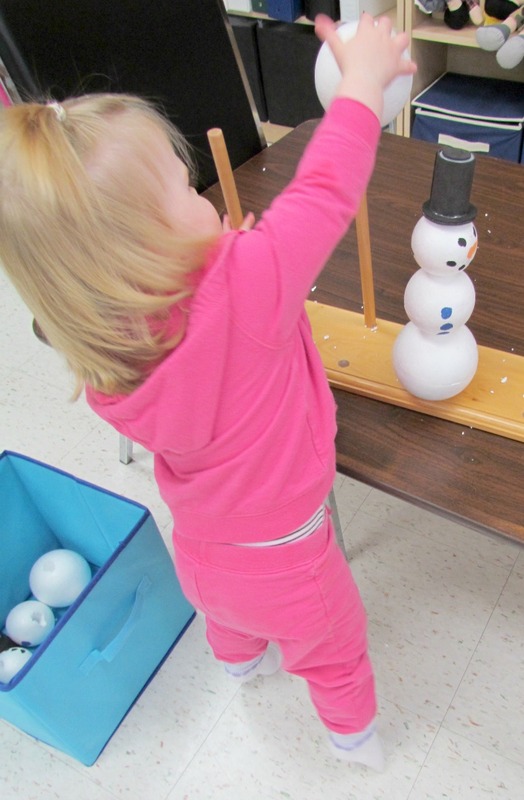 Julie’s been heating up winter with her play-based learning children’s events. Here are just a few of the activities she had waiting for the little ones when they arrived at the CCPRN office earlier this week. Children had so much fun building snowmen made from Styrofoam balls. This was a great activity for those gross motor skills, improving hand-eye coordination and sorting large and small. Next up was a mitten colour match game. 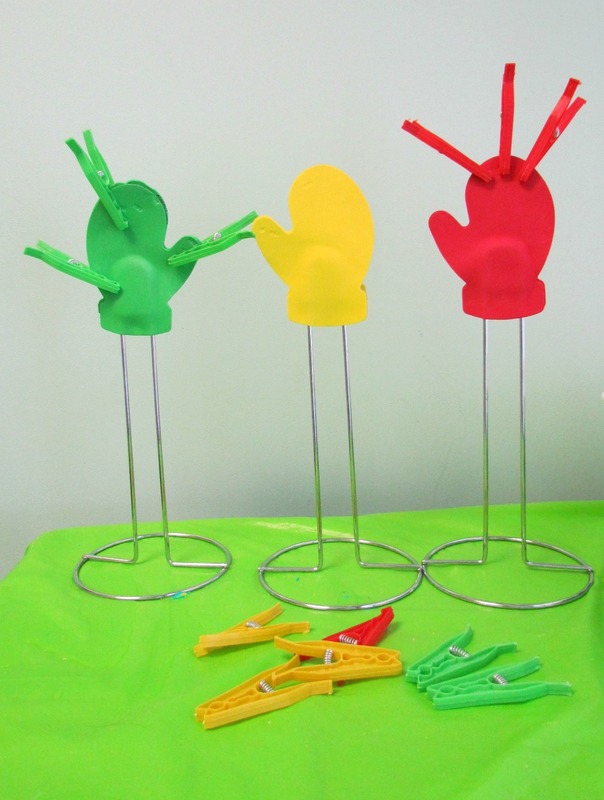 Toddlers got to practice their pincer grasp while sorting and matching the coloured clothes pins with the coordinating mittens. 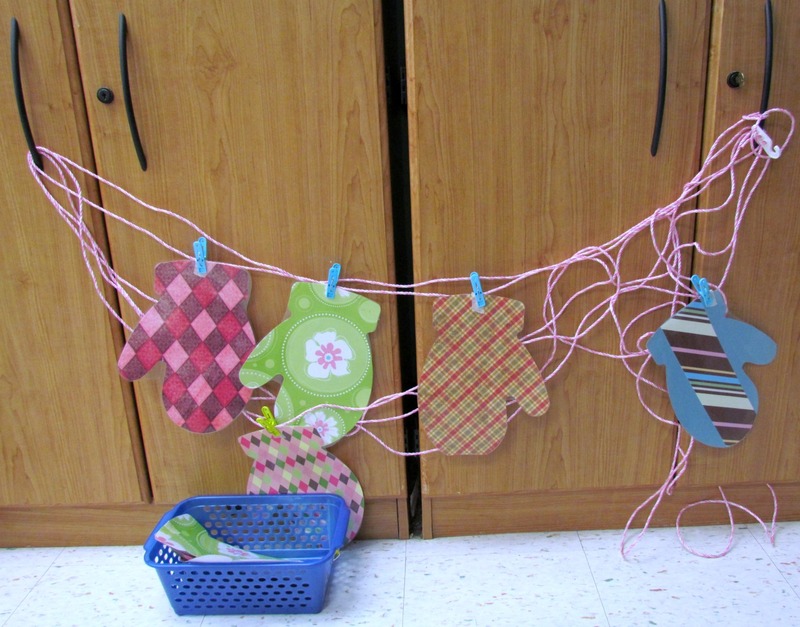 Those little fine motor skills got even more exercise from hanging mittens on the clothesline. Caregivers discussed the different kinds of patterns found on the mittens such as plaid, diamond shapes and stripes. 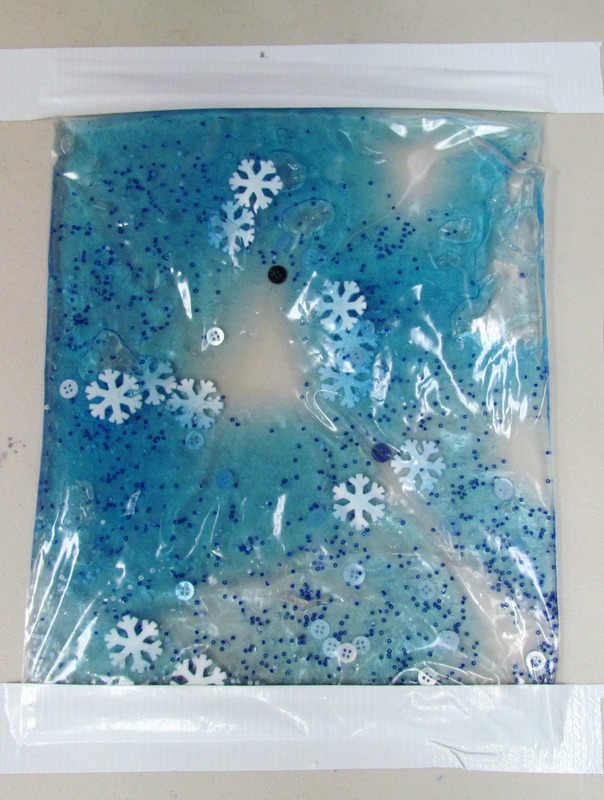 Kids of all ages love to manipulate goo and these extra-large Ziploc bags keep the mess inside for lasting fun! 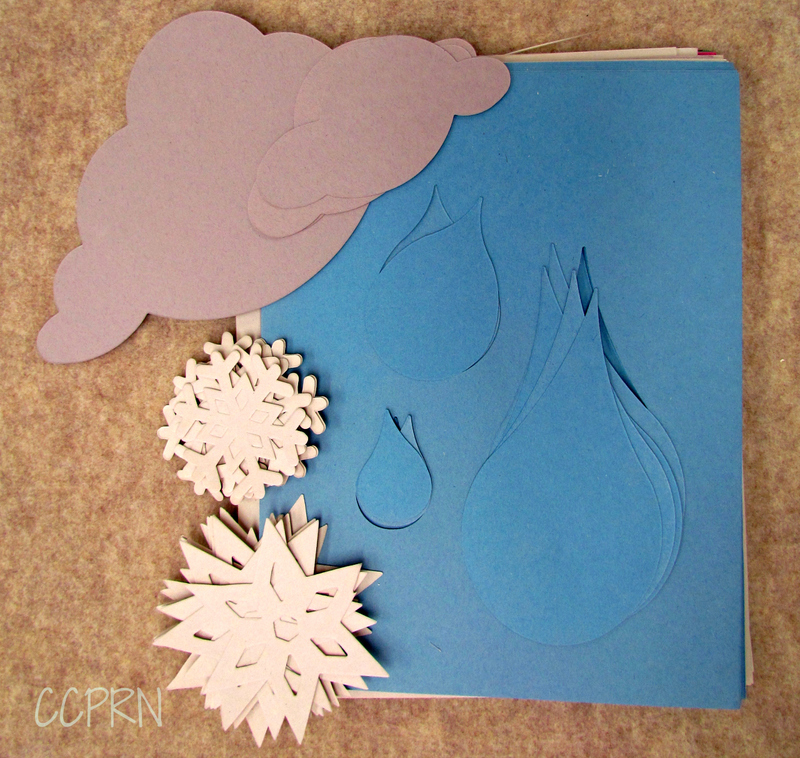 Inside were die cut foam snowflakes, beads, buttons, and the secret ingredient… hair gel! 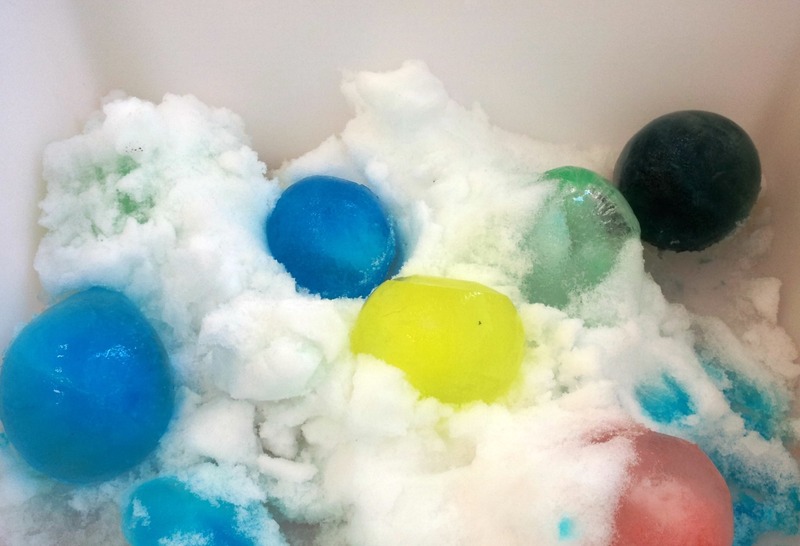 Julie brought the outside in and filled our sensory bin with snow and these beautifully coloured balls of ice. Children delighted in playing with the cold snow as they discussed colours and hot versus cold! To make the ice balls, simply put a good dose of food colouring inside some balloons and then add about 1 or 2 cups of water. Tie them off and place them outside to freeze (or in your freezer). Note that the balloons can take up to 2 days to fully freeze. At the end of the event, the children enjoyed a snack while Julie told the story “Polar Bear Polar Bear.” They watched in awe as that silly polar bear changed colours throughout the story. There are still spaces available for some of Julie’s upcoming Winter Heat events so if you haven’t already, be sure to sign up!